Friday Favourites ~ 10 ways to use #Flipboard to Promote your Blog. 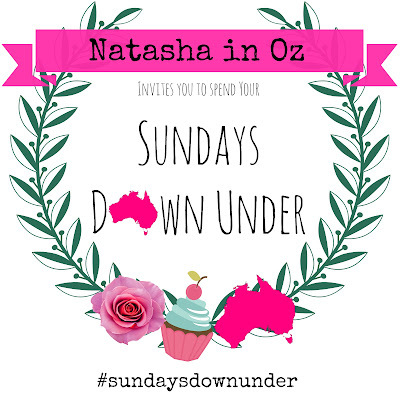 G'day sweet friend and welcome to Natasha in Oz. Thanks so much for stopping by today-it's so great to see you!This week has been fantastic. 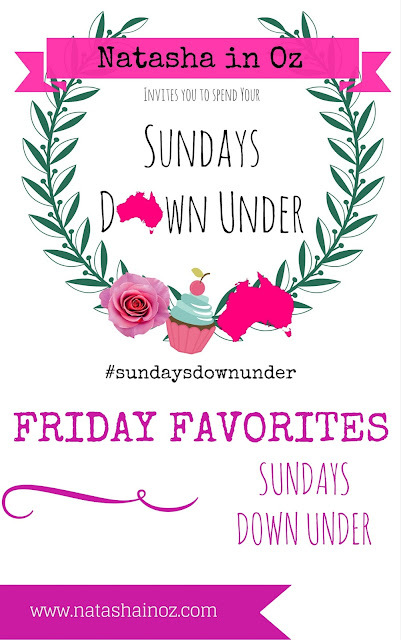 I've recharged the batteries, spent time with my kids, slept-in and spent lots of time reading your blogs and finding some fabulous Friday Favorites! I have decided to share the features a little differently from now on. I will be now publishing YOUR posts in a weekly Flipboard magazine. If you aren't familiar with Flipboard, it is a mobile app that allows you to collect and share articles, blogs posts, news items etc into an online 'magazine'. Later in the post I'll be sharing the 10 ways to use #Flipboard to Promote your Blog. Flipboard allows you to discover new content to share on various social media channels. Flipboard has quickly become one of the top choices for feed reading on devices such as smartphones, tablets and desktops. Flipboard supports social media channels like Twitter, Facebook, Google+, LinkedIn, Instagram, Tumblr, amongst others! You just have to link your networks to your Flipboard account and then information will be streamed for you. 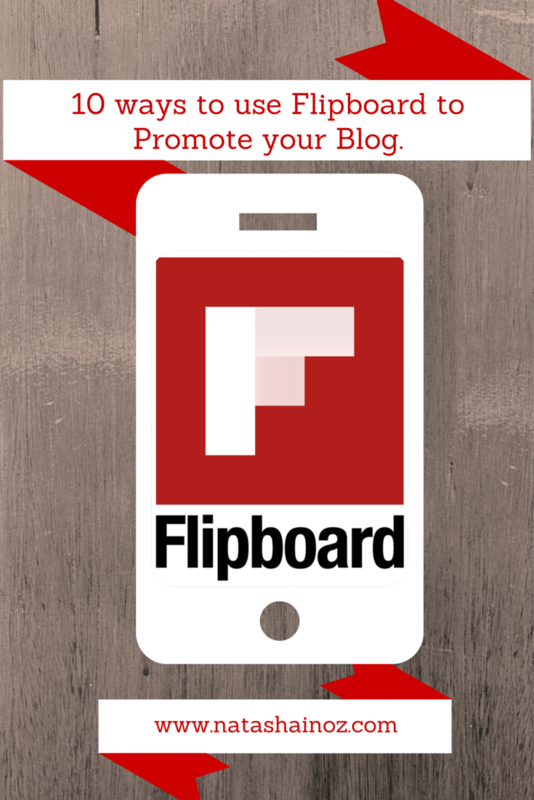 Here are 10 ways to use #Flipboard to Promote your Blog. Flipboard allows you to put your favourite content all together in one place. Flipboard helps you create a 'magazine' for content curation. Flipboard mags are indexed in Google Search! This means that Google crawls and ranks content found in Flipboard magazines, something great for SEO! Flipboard is can be added to AddThis, ShareThis, AddtoAny and Shareaholic plugins. You can create your own glossy, digital shopping magazine on Flipboard with the click of a button. It's so easy to create magazines on any topic or "flip" posts from your own blog into your magazines with the Chrome extension. Flipboard is flexible when it comes to additional curators. You can invite others to "flip" content into your magazine, a great option for bloggers who share the responsibility of hosting linky parties! Flipboard makes you both editor and publisher of your own magazine in the easiest way possible. You will need to download Flipboard onto your iPad or sign into flipboard.com then you van easily browse stories, catch up on anything you're interested in and collect and share articles with friends. Here's a screenshot of some of the stories on my Flipboard. Each image on the Flipboard dashboard represents a different topic or subscription. The Flipboard creators have also introduced a couple of tools to help get your content to Flipboard faster and to expand your reach. If you would like to learn more about using Flipboard check out this post "Easy Tools for Bloggers to Bring Content to Flipboard" from the Flipboard Blog. There are heaps of articles on the web on how and why to use Flipboard but these two posts helped me enormously. The first one is from The Edu-Blogger (I first started using Flipboard in my role as a teacher) and it explains how to set up an account, curate content and share your content with others. Read "The flip-a-holic’s ultimate guide to subscribing, curating and sharing using Flipboard" here. The next article "How to Use Flipboard to Get Traffic to Your Blog" explains how to market your blog using Flipboard. Thank you so much for joining in and sharing these fabulous posts. Please feel free to grab an "I Was Featured" button! 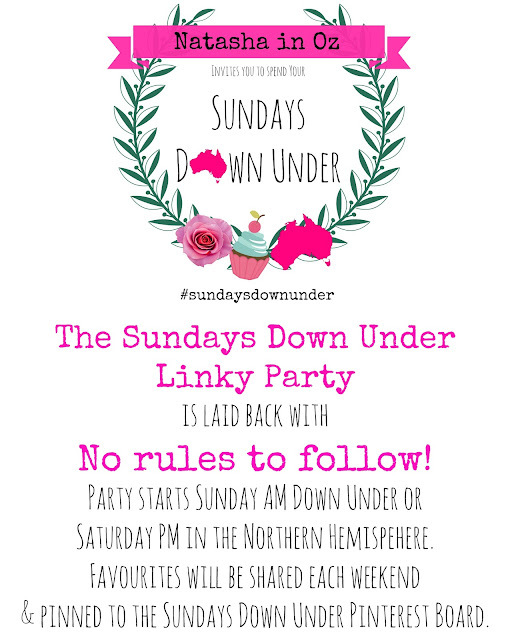 Please come back to visit on Saturday evening US time or Sunday morning Down Under time and share your recipes, tutorials, DIY projects, gardening tips, instagram pics, Pinterest Round Up Posts...even your own linky parties. Everything is welcome! I hope you will be able to join me this weekend. Thanks so much for stopping by today and thanks also to the kind folks who are hosting bloggy parties today. If you'd like to see where I party each week, just click the button below.